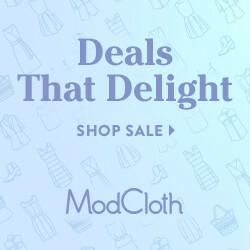 What better way to treat someone you love then to give them something sweet! 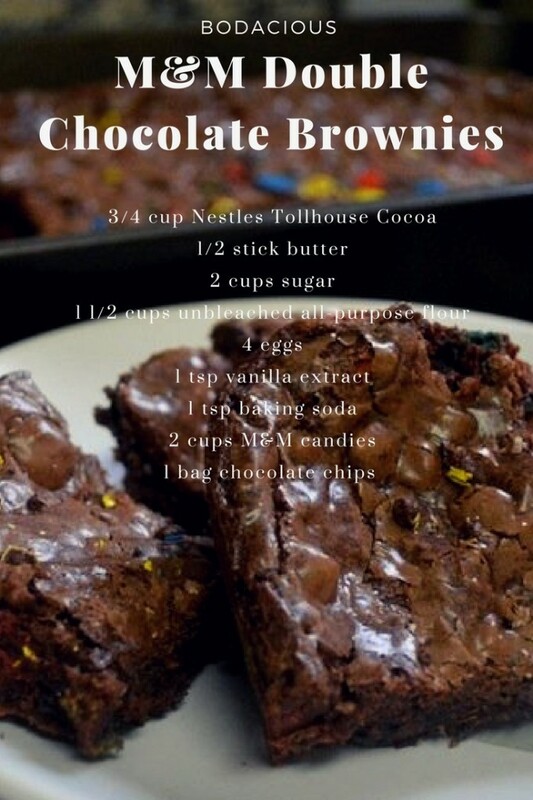 These M&M Double chocolate brownies are the way to any chocolate lovers heart. 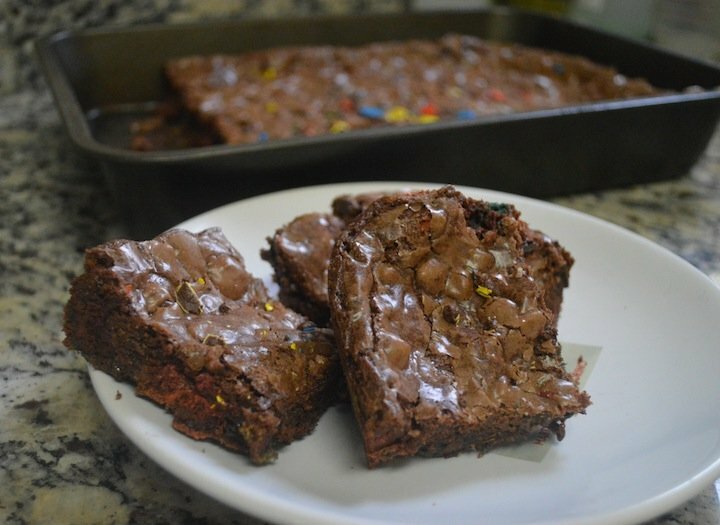 They mix the best of two delicious worlds, brownies and M&M’s! Perfect for a laid back Valentines Day, or any romantic weekend that might move you, these M&M double chocolate brownies could melt any heart, and tastebud. But first, melt some butter. 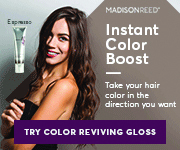 Get the recipe below. It’s easy enough for a baking enthusiast novice, and won’t disappoint the trained indulger. Add in eggs, sugar, vanilla and flour and blend well unto fully mixed and smooth. 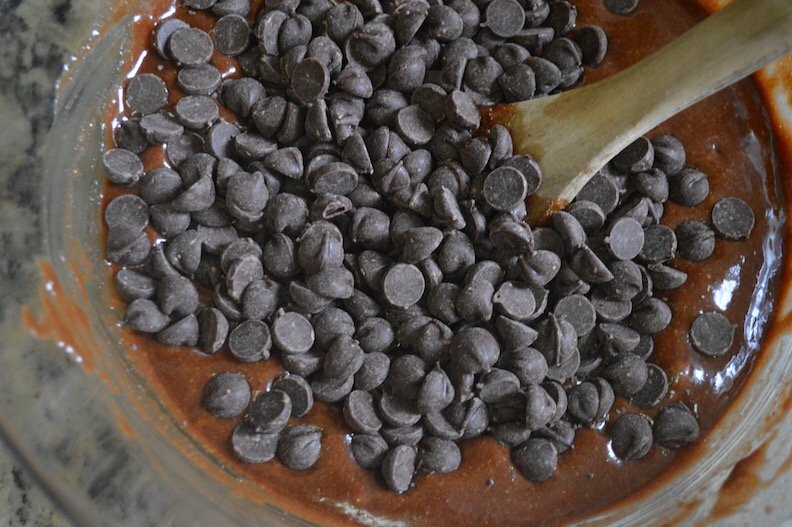 Add chocolate chips into the mixture and stir quickly. 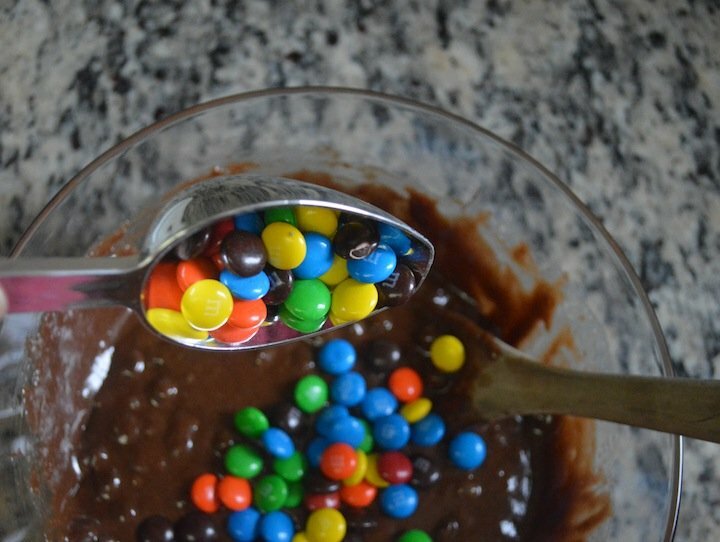 Add 1 ½ cups M&M’s and stir to combine further. Meanwhile, spray a 10×15 baking dish with cooking spray and preheat oven to 350 degrees. Spread brownie batter in dish. Sprinkle remaining crushed M&M’s over top of batter in dish. Bake at 350° for 35-45 minutes or until a toothpick comes out of the center clean. Cool brownies down and then, enjoy!